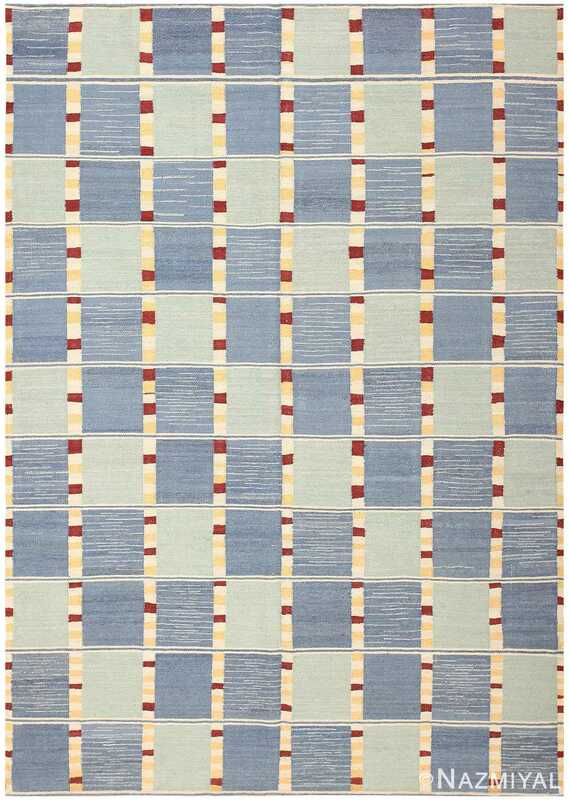 Beautiful and Elegant Modern Chinese Aubusson Rug, Country of Origin: China, Circa Date: New / Modern Rug – This outstanding modern rug, a contemporary Aubusson rug, which was woven in China, conforms to an age-old style based on precise geometry and formal architectural principles. 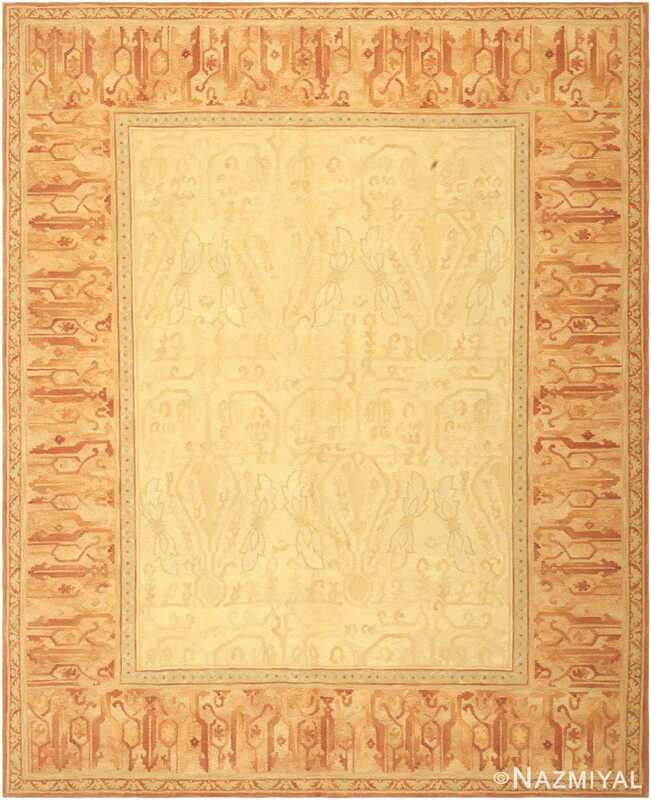 The creamy ecru field is decorated with a radiant medallion of geometric trellises that incorporate a superb receding perspective. Each structural picket incorporates gradient shading and arching curves that produce a marvelous dimensional effect. 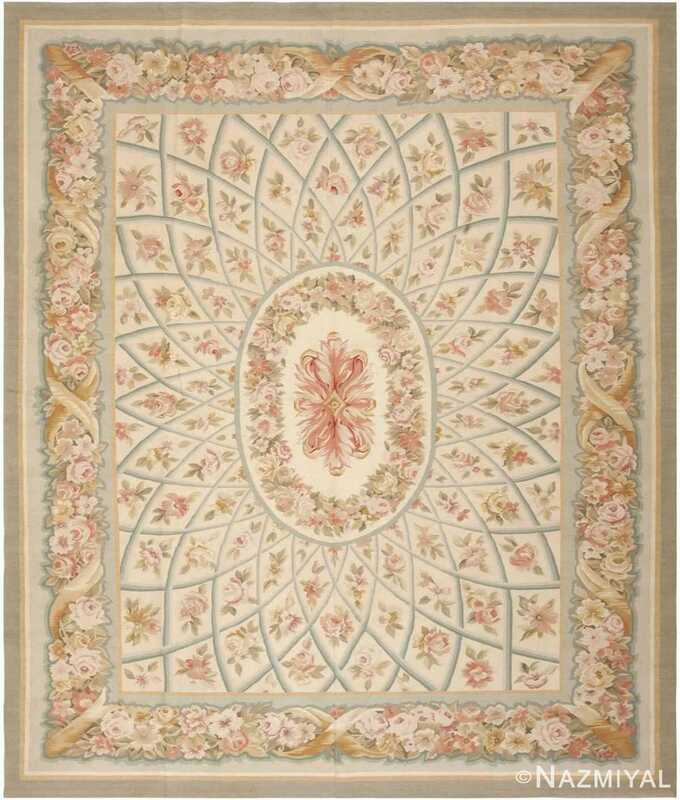 The lush acanthus-leaf medallion of this newly made French Aubusson design Chinese rug is surrounded by a secondary floral chain that mimics the floriferous garland featured in the formal Baroque-style borders. Exquisite cabbage roses and dainty floral sprigs decorate each latticework compartment following the stunning receding perspective and continuing the elegant floral theme. 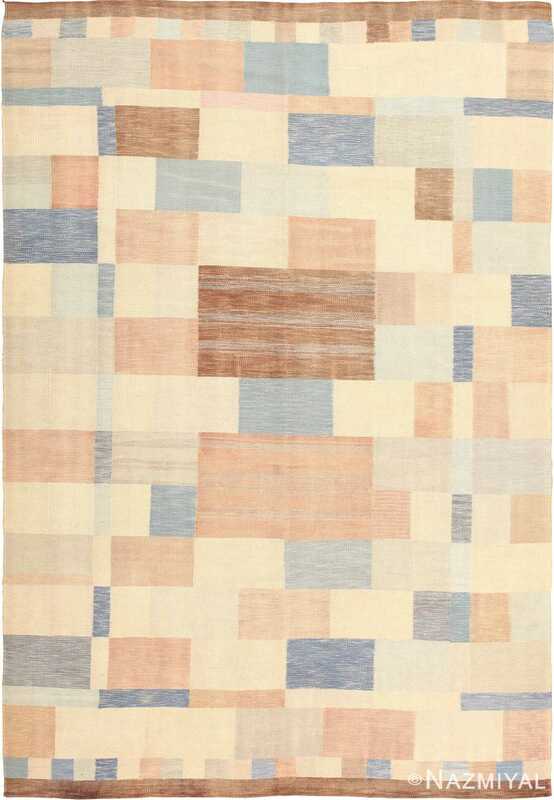 This stunning modern Chinese Aubusson rug (or Aubusson style rug) features exquisite shading, soft pastel colors and beautiful color variations that create a painterly visage.